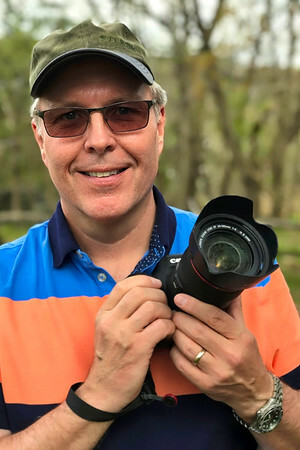 Bill is a self taught photographer originally from Manitowoc, WI now living in Yokosuka, Japan but will eventually reside in El Paso, TX. Because he shoots mostly stock photography, his photographic interests vary; however, he feels this frees him to shoot anything he likes! Currently, Bill is a stock photography contributor for Adobe Stock, iStock by Getty Images, Shutterstock and a few other companies. His photos appear in numerous publications, visit Stock Used Online in the menu to view some of them. Prior to photography Bill served in the US Navy Music Program, for 30 years he was fortunate to serve his country doing something he loved while visiting much of the world. He earned his AA, BA, and MA on active duty and spent a few rewarding years as an adjunct US History professor following retirement from the Navy. Bill's interest in photography began shortly after joining the Navy but was short lived, film photography was just too expensive. During his Naval career he traveled throughout the US, Europe, and Asia but did little photography. Finally, in 2006 he became interested in digital photography and has been hooked ever since. Since he had been a musician from the mid 1970's and was fortunate to play with incredible people (see his music page at Fandalism), Bill believes there are similarities between music and photography. He says a photographer’s photos are like music and that, "a music lesson is much like photography lesson, you'll get the information you need but still have to practice to improve." Photography fills the part of his life that music once occupied, that's why he says he's a former musician, trying to use the creative part of his brain with a different instrument. When out shooting, it's normally with his wife and children; Bill says without his wife's support, "this little obsession would be just something else I'd like to be doing." She also took his photo at the top of this page. Bill's photos are available for purchase here with many options, just look for the "BUY" button to get started; watermarks will not appear on purchases. So that's him in a nutshell, on a photo journey with no clients, deadlines, or office; just a retired guy with a camera in the bag and the time to shoot! Feel free to contact Bill, comment on his photos, check out his BLOG, and please sign the guest book. All photographs appearing on this site are the property of Bill Chizek Photography. All Images copyright © 2011-2018 William Chizek and are the exclusive property of William J. Chizek and protected under United States and International Copyright laws. Images may not be reproduced, copied, transmitted or manipulated (in whole or in part) without the written permission of William J. Chizek. Use of any images from BillChizekPhotography.com as the basis for another photographic concept or illustration (digital, artist rendering or alike) is a violation of United States and International Copyright laws. IMAGES MAY NOT BE REDISPLAYED ON ANOTHER WEB SITE WITHOUT PERMISSION OF BILL CHIZEK PHOTOGRAPHY. Contact William J. Chizek at william.chizek@gmail.com if you wish to obtain a reproduction of an image or if you wish to obtain permission to redisplay an image on another web site.